When I was in graduate school, one of my favorite Wednesday pastimes was picking up comic books (release date) at Aquilonia Comics followed by lunch buffet at Shalimar on Fulton Street in Troy. 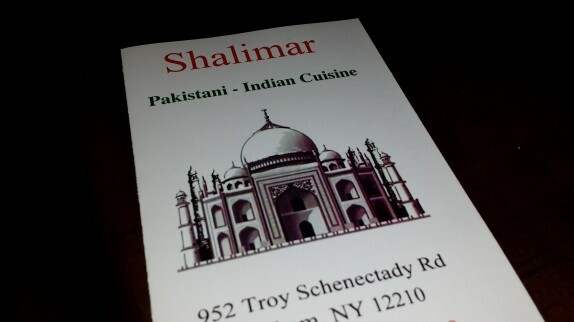 It’s been a while since I’ve dined at any Shalimar restaurant in the area. Now, I have trouble keeping track of whether or not they are affiliated. Last I heard, the original owner (who still owns the Delmar location) sold the others to people who are related. So, as far as I know, each location is independently owned. One evening, I ordered some takeout from the Latham location (952 Troy Schenectady Rd). In order to make a comparison, I ordered three items I have had in Troy. 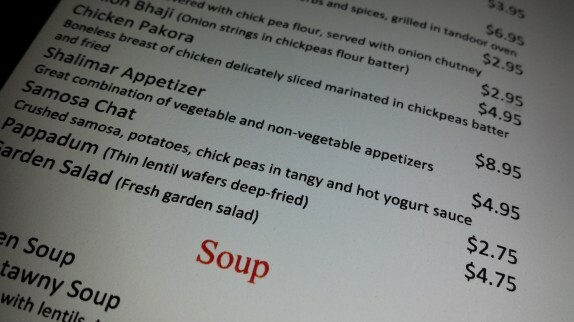 As an appetizer, I ordered the samosa chaat ($5) which consists of a crushed samosa (fried pastry filled with peas and potatoes – kind of like an Indian empanada) topped with a chick pea stew, yogurt sauce, and tamarind and mint chutneys. 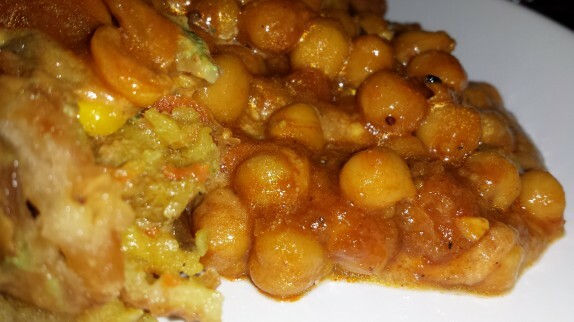 It’s a hodge podge of all of the flavors I love in Indian cooking. As it is, this dish is difficult to plate up for dining at the restaurant, so I wasn’t really surprised that the textures of the sauces topping everything got muddled together in transit. 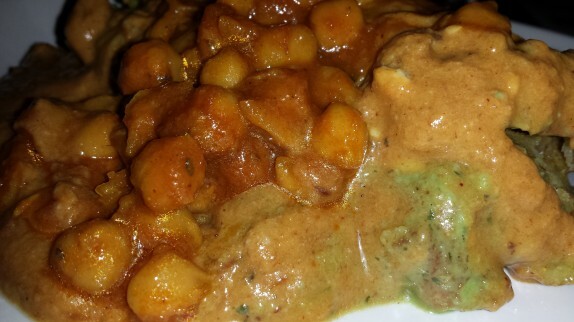 The richness, sweetness, and tang of the tamarind chutney stood out well ahead of the other flavors, and that was something I really loved about this. This was consistent with what I remember from Troy. 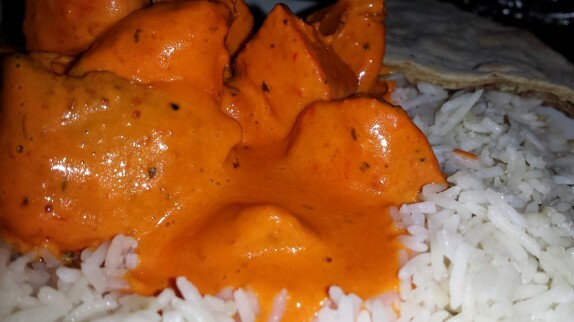 I recall loving the chicken tikka makhani ($10.95) over the chicken tikka masala at the Troy location since the masala had large chunks of peppers and onions, which really isn’t my cup of tea. 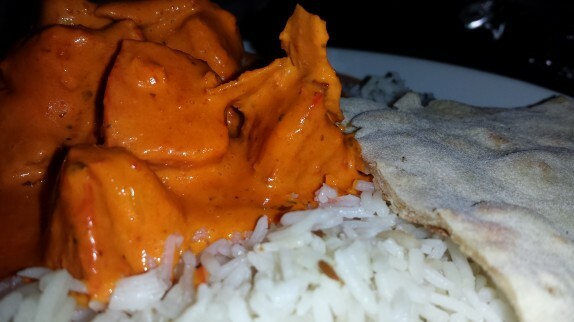 While the appearance of the chicken and sauce resembled what I had from Troy, the taste was very different. In this case, the chicken itself was tender and flavorful, but the sauce was completely taken over by the richness and mouthfeel of the cream used to thicken it. There was really nothing else I could taste about the sauce, which is a shame because lots of great spices with robust flavors go into building this sauce. 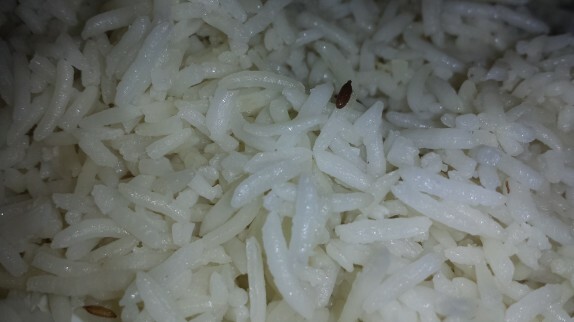 The fragrant basmati rice was spiked with a large amount of cumin, and was fluffy and slightly oily. 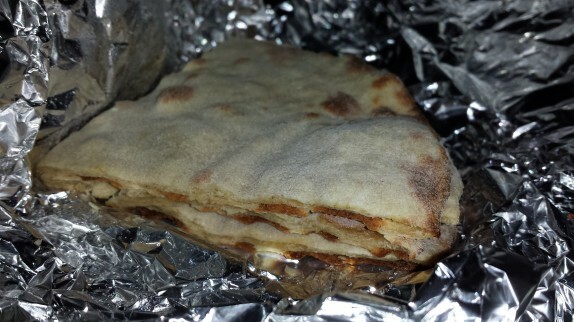 On the side, I ordered some roti ($1.75), which is basically whole wheat naan. The idea is to use the bread to scoop up some chicken, sauce, and rice, but I just like eating the nutty bread on its own. While the chicken tikka makhani was somewhat disappointing, since it’s priced a little lower than Karavalli, I would keep this in my back pocket as a decent takeout option. 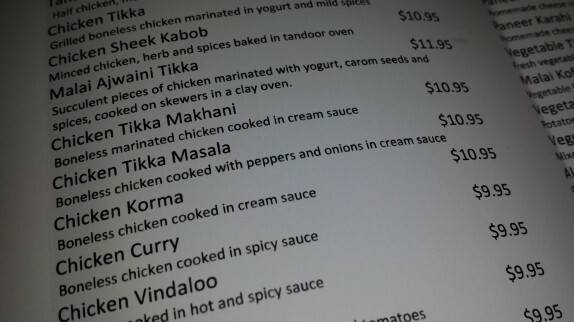 Otherwise, I’d just pony up the few extra bucks for Karavalli. And I’m not just saying that because the guy who gave me my order made fun of my Crocs on the way out either. The original Shalimar was on Central Ave, between Lark and HJ Blvd (we’re going back to the mid-90s here), but I think the original owner now owns Lazeez in approximately the same location. It would be interesting to know the provenance of the rest of the Shalimars in the area. FWIW, the one in Troy was fairly disappointing the last time time I had it a couple of months ago, but as with many lower-cost ‘ethnic’ establishments, a lot depends on what day you go and who’s doing the cooking. While we generally use Shining Rainbow as our go-to Chinese take out place, the quality of the food is very different during the week as opposed to the weekends – the weekend chef is by far superior in our opinion (not that there’s anything wrong with going during the week – the weekend chef just adds a bit more of everything to really make the flavors stand out).